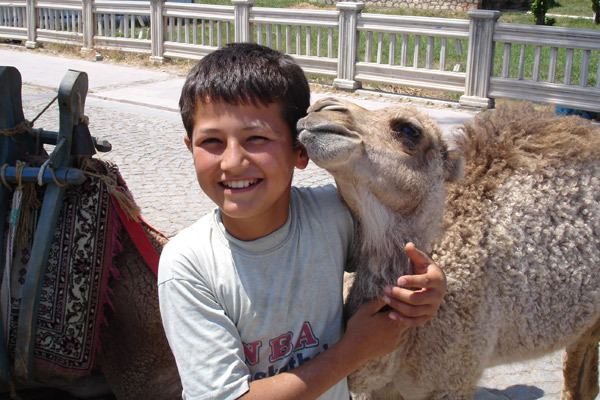 Turkey is the home of legends and history taught in classrooms the world over. 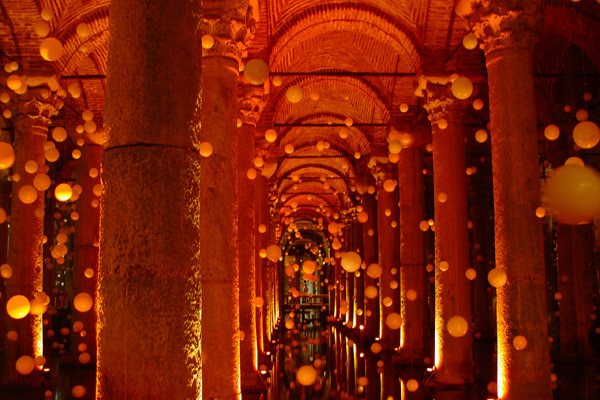 Walk the streets of the legendary Troy, or exotic Istanbul, once the capital of the Eastern Roman Empire. Visit the secluded spot where Mark Antony and Cleopatra met and married the town where Saint Nicholas (Santa Claus) lived, and follow the trail of the Seven Churches mentioned in the testaments. 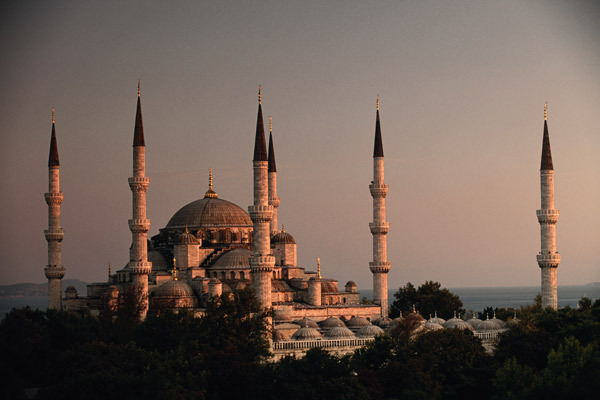 Travel the Silk Road of Marco Polo, sail the turquoise waters of the Aegean, and sample food fit for a Sultan. The one thing that is uniform throughout this fascinating country is the unrivalled hospitality of its people. Today you begin with a full day, guided city tour. 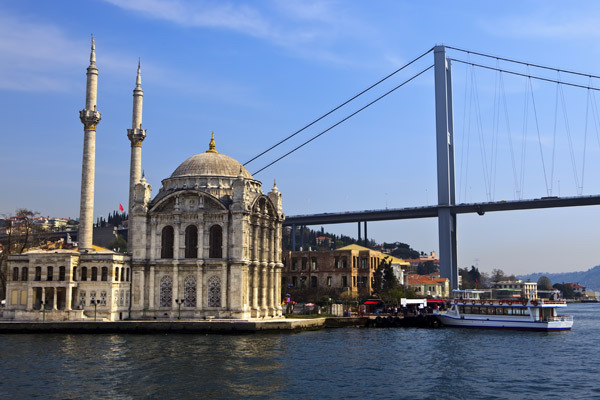 We begin with the home of Sultans between the 16th and 19th centuries, the Topkapi Palace, overlooking the Bosphorus. Then you will visit St. Sophia’s Basilica, built by Constantine the Great. Next we head to the Blue Mosque with its impressive six minarets, beautiful blue Iznik tiles, unique architecture and marble latticework. Our next stop is the Hippodrome where chariot races and competitive athletic games once took place. Finally, amble through the Grand Bazaar where there is literally something for everyone! Dinner tonight is at a well known sea-food restaurant in Kumkapi. 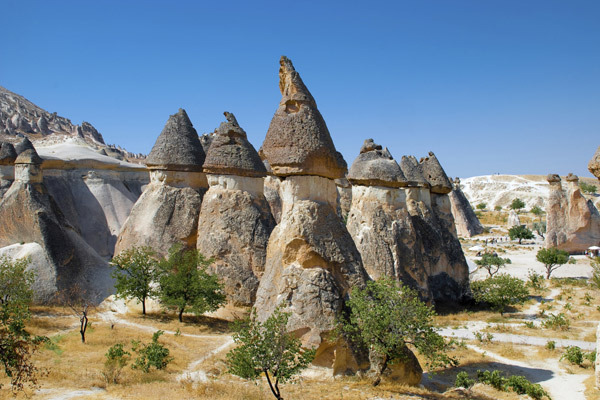 This morning you will transfer to the airport for a flight to Kayseri followed by a guided excursion in Cappadocia including a visit to the Kaymakli underground city, where early Christians hid from their persecutors. You will visit the Goreme open-air museum to see Byzantine frescoes and paintings and, the natural fortress at Uchisar where you will also have an opportunity to see local handicrafts. A big day full of great sights and experiences. Early risers may wish to have an optional balloon ride this morning to view the unique Cappadocian landscape. After breakfast we will guide you on a walk in the Ihlara Canyon up to the village of Belisirma. Here there are ancient churches cut in to the rock-faces, with their own distinctive biblical paintings. Lunch will be in a local restaurant with wonderful views over the landscape. 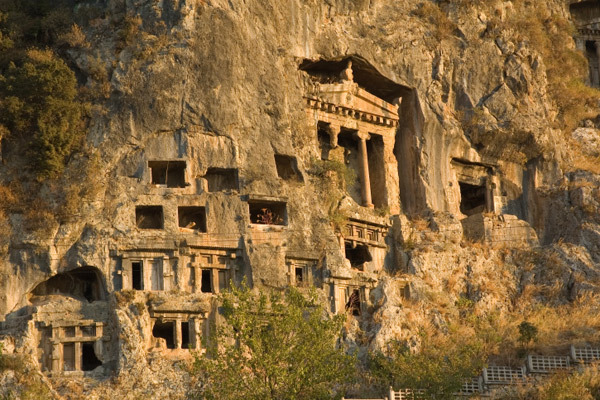 As we come to the end of the canyon we will visit the village of Selime with its traditional cave houses. After a transfer to the airport and a flight to Izmir, we will visit Sirince, a traditional village high in the hills overlooking the sea, where you can experience the cultural side of Turkey and have the opportunity to taste their fruit wines. There is plenty of time to explore the village. Later, we will have dinner in a local restaurant in Sirince. Most of today will be spent in and around Ephesus. Ephesus was once the central trading and cultural city for this region until its river silted up. Today, the ancient city has many well preserved ruins that provide a glimpse into its past glory, and your visit will include many of these sites including the Temple of Artemis. Following Ephesus we will visit the House of Mother Mary where she is supposed to have spent her final years. Today we return by air to Istanbul where we visit the old city to explore the aromas and colours of the Spice Bazaar. Then, we take a unique cruise on the Bosphorus. The views across to both the Asian and European shores are superb, with many of the important sites clearly visible. After check-out we will transfer you to the airport or Port for your onward journey.